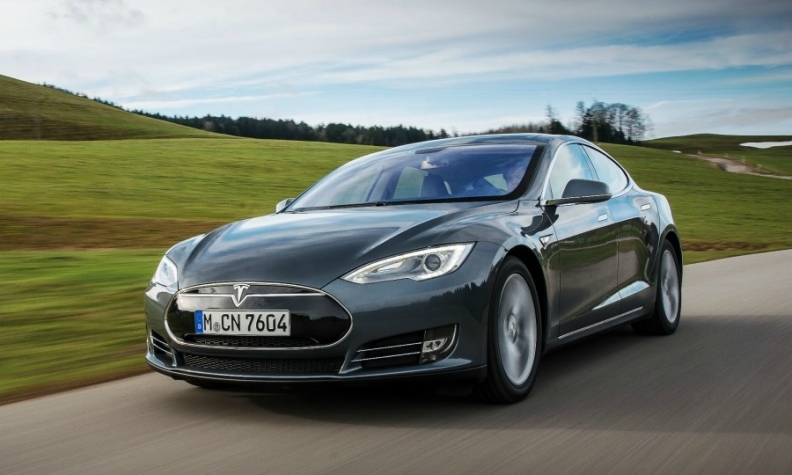 Tesla says sales of its Model S have been hurt by Europe's limited charging infrastructure. Daimler has joined German supplier Robert Bosch in questioning Tesla's decision to build a network of so-called "supercharger" stations in Germany that only cater to the U.S. electric carmaker's vehicles. "The future [of an electric charging infrastructure] lies in standardization. As with gas stations, we need a charging system for all manufacturers, not least because it reduces the cost of the infrastructure, but it is also more convenient for customers," Thomas Weber, Daimler's r&d chief, told Automotive News Europe sister publication Automobilwoche. In January, Tesla and German train operator Deutsche Bahn opened four charging stations between Munich in southern Germany and Cologne in the northeast of the country, enabling Tesla drivers to fast charge their batteries in about 30 minutes. The stations are part of network of 14 Tesla charging points across Europe. Tesla says its Model S has a range of 500km, but the car's appeal with customers has been hurt by Europe's limited charging infrastructure. Bosch CEO Volkmar Denner told Automobilewoche that it wouldn't make economic sense if every carmaker pursued its own charging system, adding that "the technology exists for a Europewide charging network, we just need to want to implement it." Daimler and rival BMW, which recently launched the i3 electric vehicle, have concentrated on offering small electric vehicles aimed at city commuters rather than vehicles intended for longer journeys. Daimler makes the Smart ForTwo EV and the Mercedes-Benz B-class EV, which both use electric motors and batteries provided by Tesla, in which the German carmaker holds a 4.3 percent stake. Tesla aims to expand its German charging network this year to allow drivers to reach destinations in half of Germany, a spokeswoman for the company said in January. Germany, Europe's biggest car market, has set itself the ambitious target of having 1 million electric cars on its roads by 2020, but some in the industry say more should be done to attract buyers to zero-emission vehicles such as providing a cash incentive similar to those offered in other European countries including the UK and France.